The professionals of Carter Law Group want to be proactive members of your legal team. We provide cost-effective, proactive and strategic legal advice when you partner with us as your Outside General Counsel. In this role, we manage the legal aspects of your business in addition to providing value-added strategic advice to help you achieve your mission. We offer Outside General Counsel services to clients of all sizes, and customize each offering to your needs. Provide legal advice, written legal opinions, and consultation on all matters that affect you to the your Board, board committees, CEO and other appropriate officers and employees, in accordance with such policies and procedures as may be established from time to time, on matters regarding the routine and day-to-day issues and matters you may encounter, including matters relating to corporate, employment and human resources issues, non-competition and confidentiality issues regarding current and former employees, basic contract or document review and advice, problem solving, litigation prevention and negotiation. Outside General Counsel representations are billed monthly on a fixed fee basis or on a blended hourly rate. 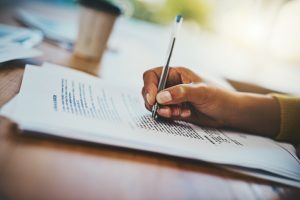 The fee is mutually agreed to after a thorough review of your organization and its needs and reviewed periodically to ensure that the arrangement is fair to both the you and to the firm. To discuss how having dedicated Outside General Counsel can benefit your organization, reach out to Caritas Law Group today.